I finally photographed a football game last night after what feels like ages. AIK meet Örebro SK in the quarter final of the Swedish Cup at Friends Arena. 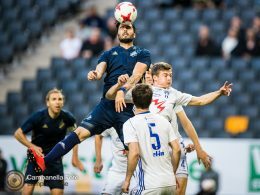 AIK dominate Halmstad 4-1 at Friends Arena in the 23rd match day of the 2017 Allsvenskan season on Sunday September 17, 2017. 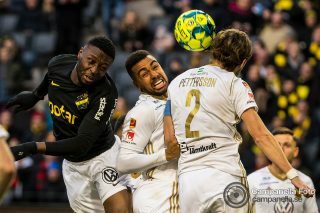 A tough day at the office for AIK as they played a 1-1 draw against last placed AFC Eskilstuna in the 19th match day of the 2017 Allsvenskan season. 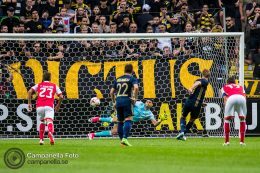 A Daniel Sundgren penalty helped AIK secure a draw against SC Braga in their UEFA Europa League qualification match at Friend Arena on July 27, 2017. 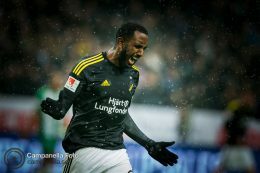 An own goal helped AIK break the deadlock against Malmö and pick up a win in the 15th match day of the 2017 Allsvenskan season. 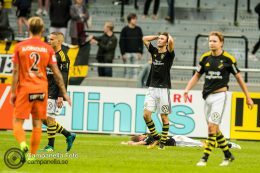 AIK crushes KÍ Klaksvík in Europa League qualification match. 5-0 at Friends Arena in a game that was neither exciting or entertaining. 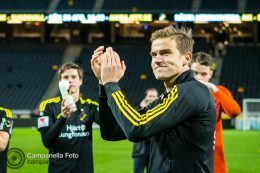 Pictures from the Allsvenskan match between AIK and IK Sirius FK played at Friends Arena on April 27, 2017 in Stockholm, Sweden. A little bit of snow and smoke at the matches Djurgården – Elfsborg on the April 16, 2017 and from AIK – Hammarby on April 17, 2017. 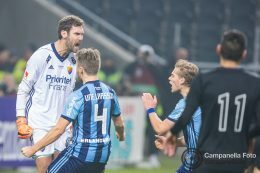 Pictures from the opening weekend of the 2017 Allsvenskan season, where I covered matches with both AIK and Djurgårdens IF.